And just like that, bulls are back in the game! Can bitcoin and its cryptocurrency buddies sustain their rallies this time? Bitcoin bounced off the bottom of the ascending channel we were watching last week, setting its sights back on the top at $7,500 or at least until the mid-channel area of interest. Stochastic is still heading higher and has a bit of room to climb before reaching overbought territory to signal that buyers are running out of steam. 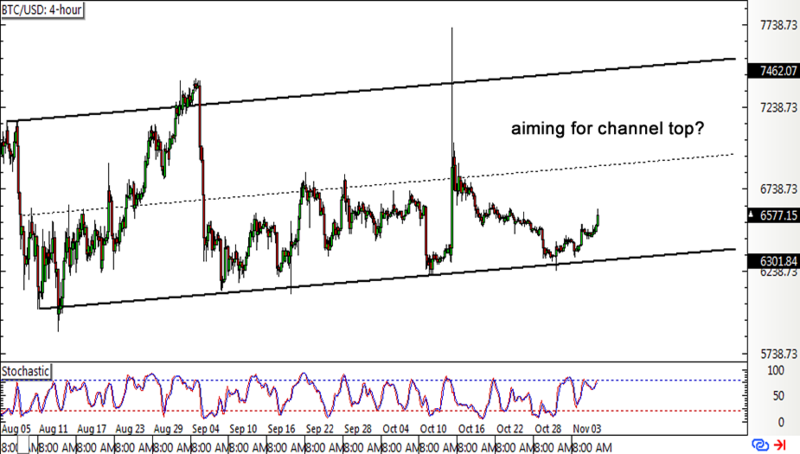 Turning back down could bring a return in bearish pressure and another dip back to the channel support. 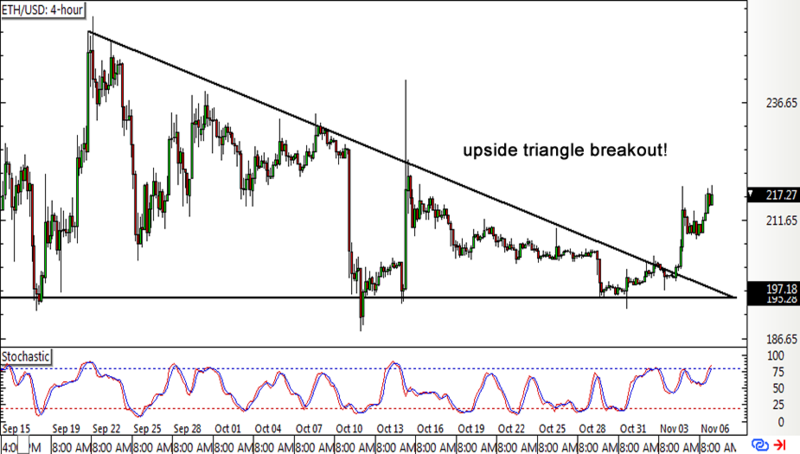 Ethereum could also be looking at more upside as it finally broke out of its descending triangle pattern. This spans $195 to around $250 so the resulting climb could be of the same height. However, stochastic is already closing in on the overbought zone to suggest that buyers are feeling exhausted. If sellers return, a pullback to the broken triangle top could be underway and more buyers might be waiting right there. Litecoin found support at the bottom of its triangle pattern and has been able to sustain enough bullish momentum to push for a break past the resistance. 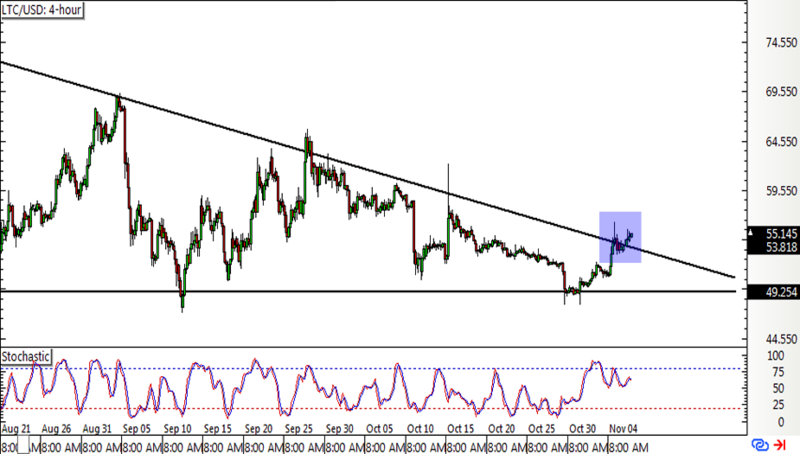 Stochastic is already turning south, though, so litecoin price might follow suit as sellers return. But if buyers keep putting up a strong fight, price could carry on with an uptrend that’s the same height as the triangle chart pattern. 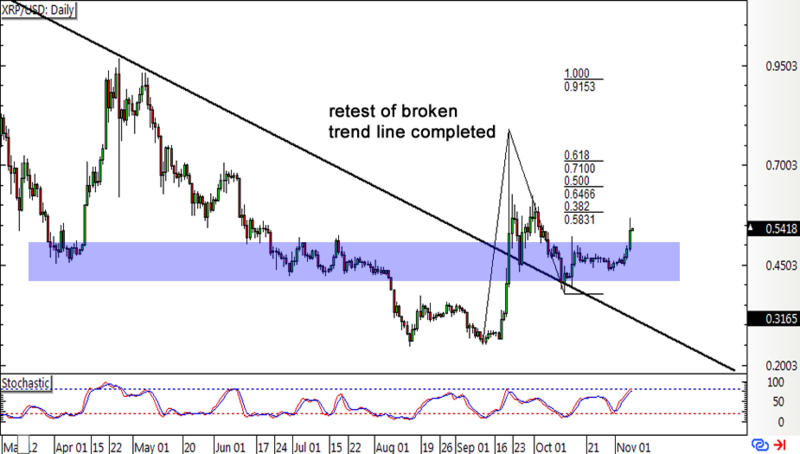 Remember that XRP long-term trend line breakout a few weeks back? Well, price already completed its retest of this former resistance, which held as support. Price is now setting its sights higher as it gains more traction on its climb, possibly aiming for the Fibonacci extension levels next. The 38.2% Fib is just close by and might spur a bounce, although the swing high is closer to the 61.% level and the .7100 mark.